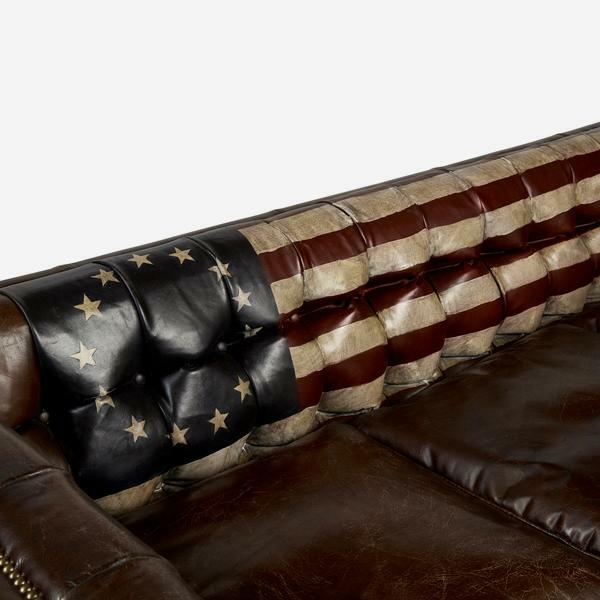 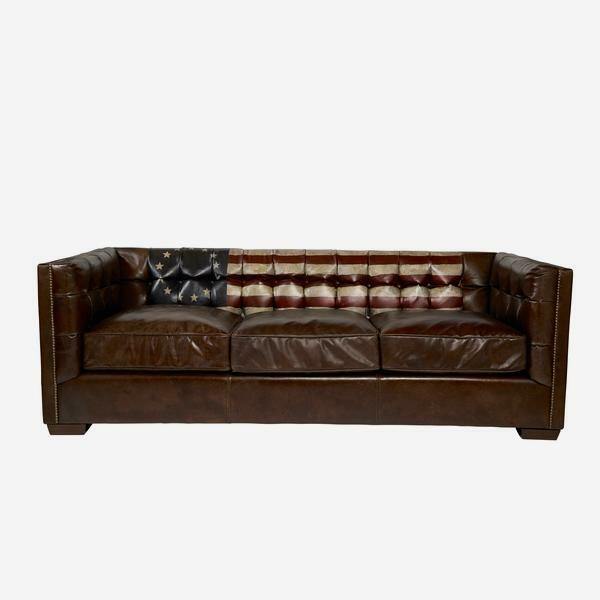 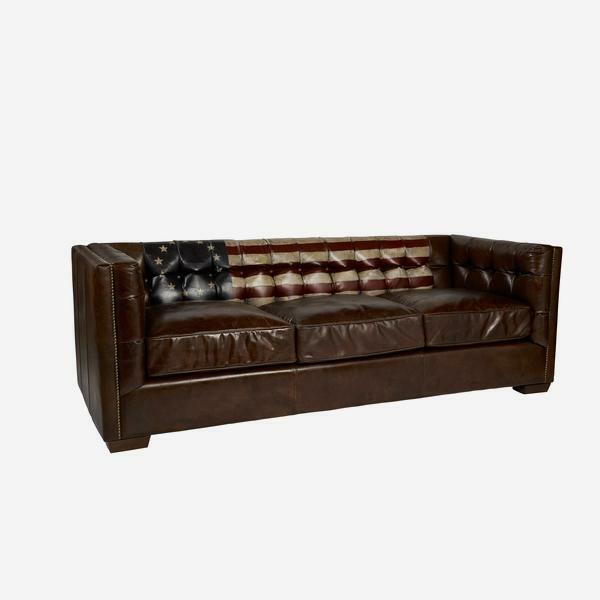 A vintage, three-seater distressed leather sofa with a button back covered in the American flag motif. 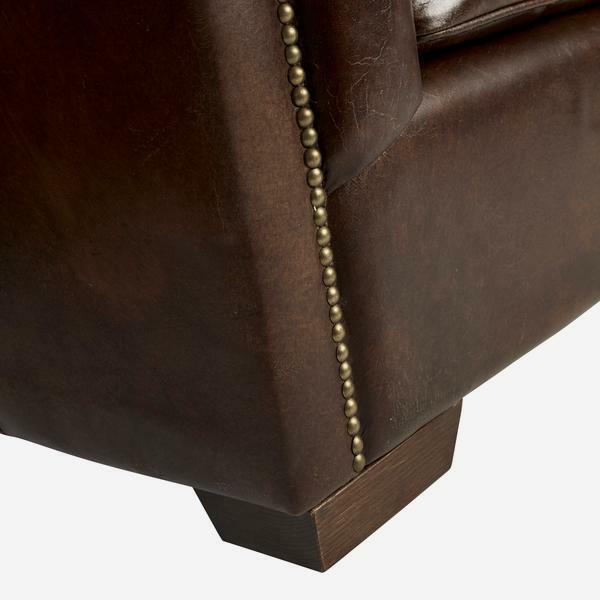 Armstrong is firm and supportive but the supple, worn leather adds casual comfort. 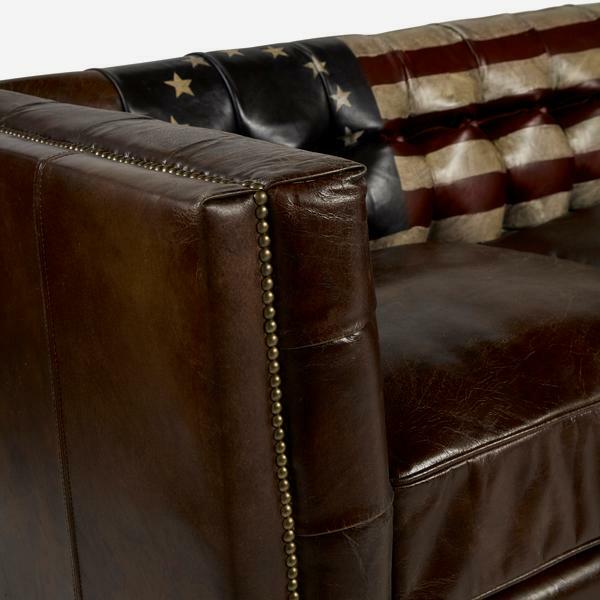 The dark brown colour suits wood tones and warm colour schemes, but let the stars and stripes stand out for its desired playful twist.